Raise your productivity by raising your Laptop to your eye level and alleviate neck strain. 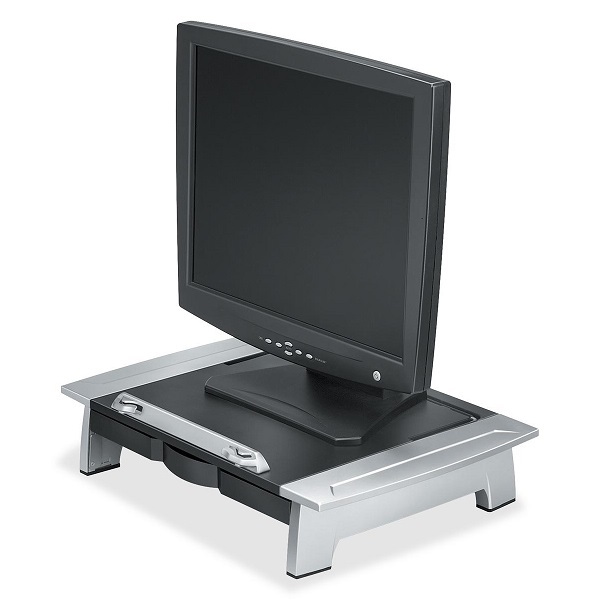 Adjustable angle puts your laptop screen at the optimal viewing level. 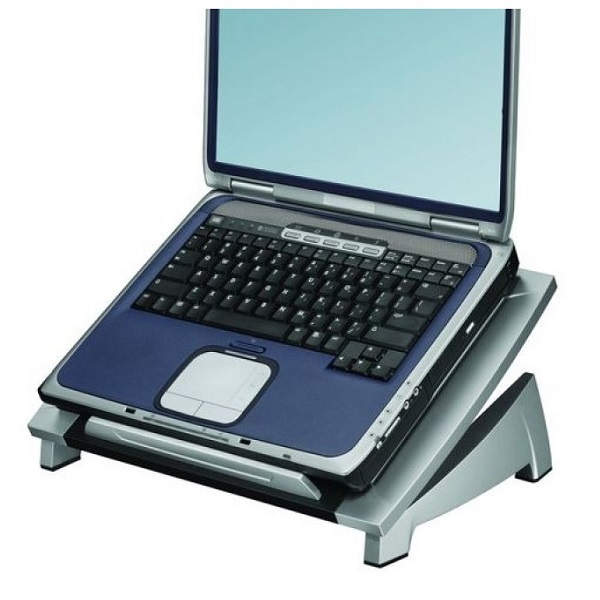 Stabilizing front edge prevents laptop from sliding off stand. 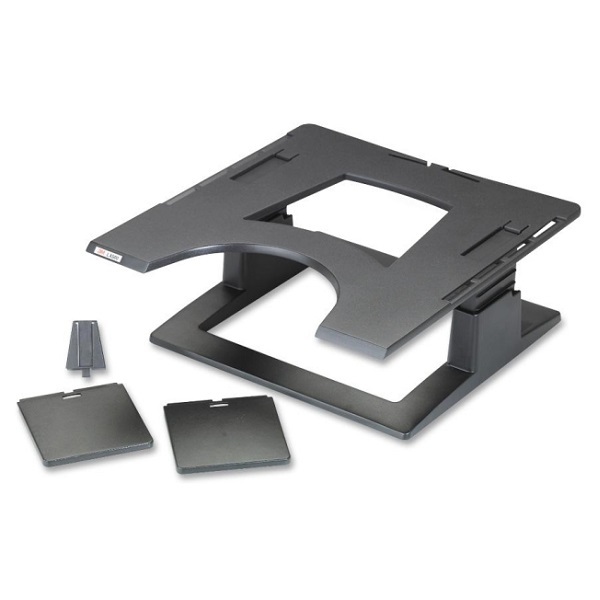 Supports up to 5 kg laptop. 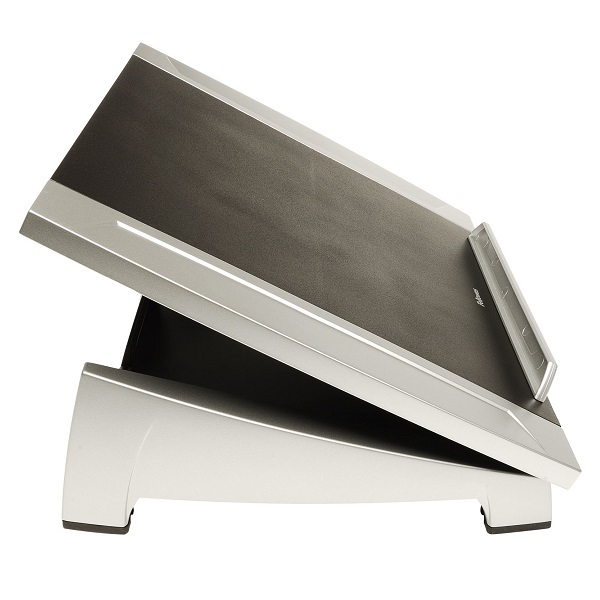 Riser lifts your notebook to an ergonomically correct height. 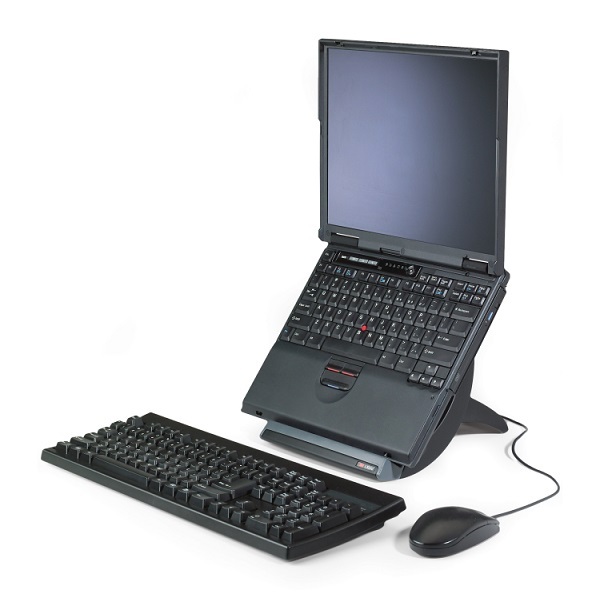 When used with an auxillary keyboard and mouse, the LX500 turns any notebook computer into a practical alternative to a desktop computer. 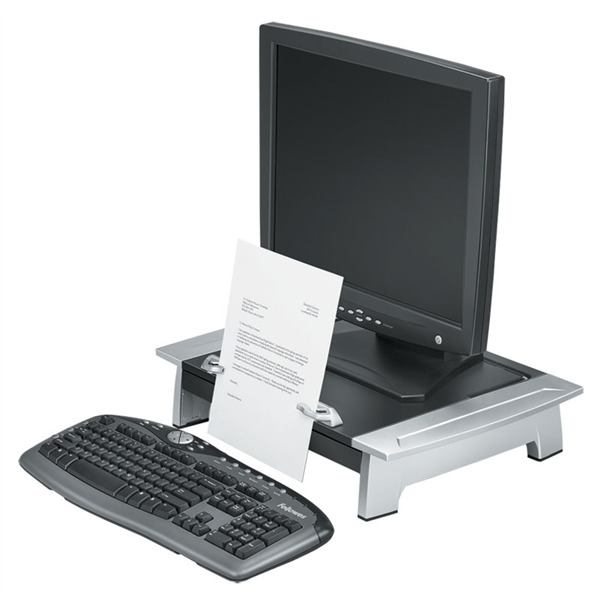 Incorporates cable management to keep cords organised, a non-skid base and is compatible with most docking stations, making it easy to dock and undock your machine quickly and easily. 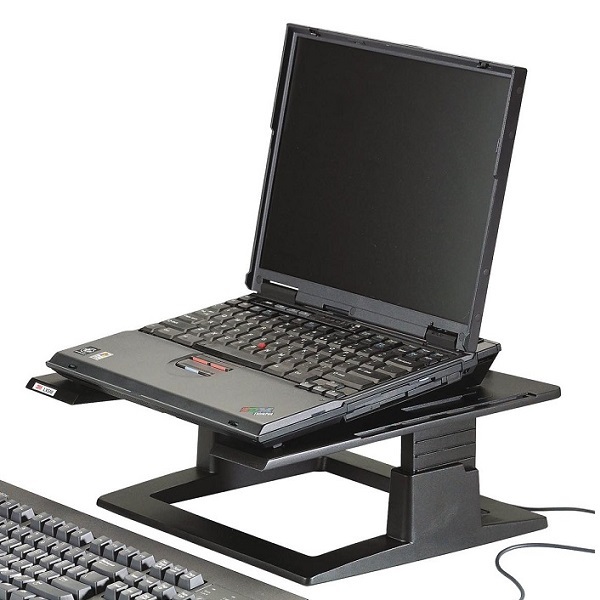 This vertical notebook riser provides an easy, secure way to raise and lower laptop computers for ergonomical positioning on a desktop. 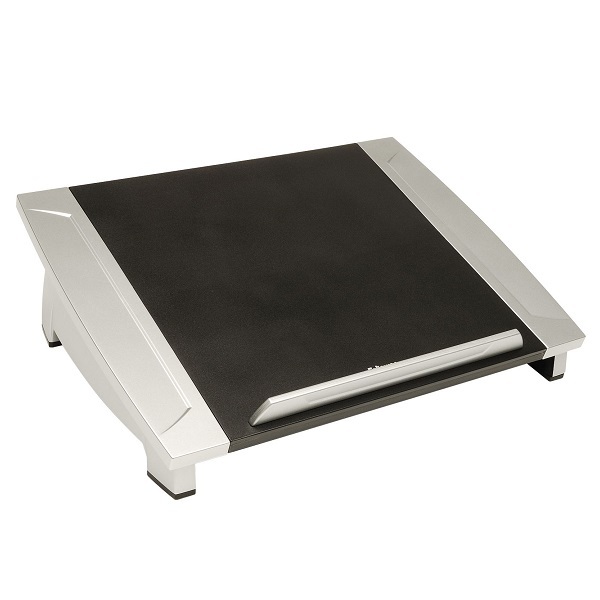 Also suitable as a simple iPad or Tablet stand. 75 mm of vertical adjustability. 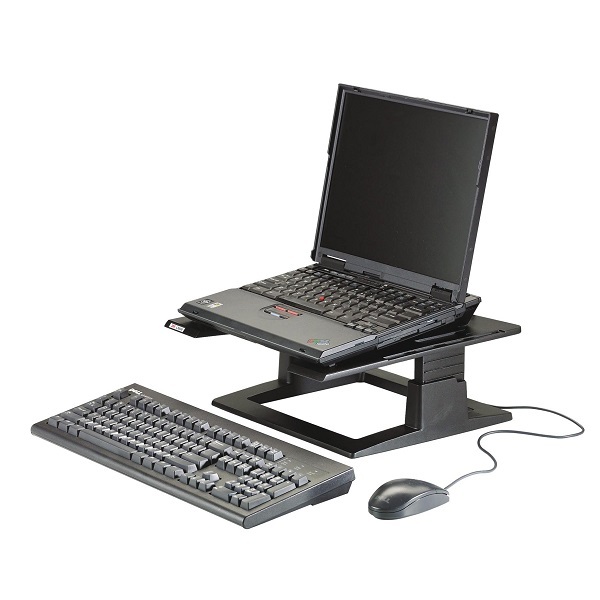 Dual purpose monitor or laptop riser. 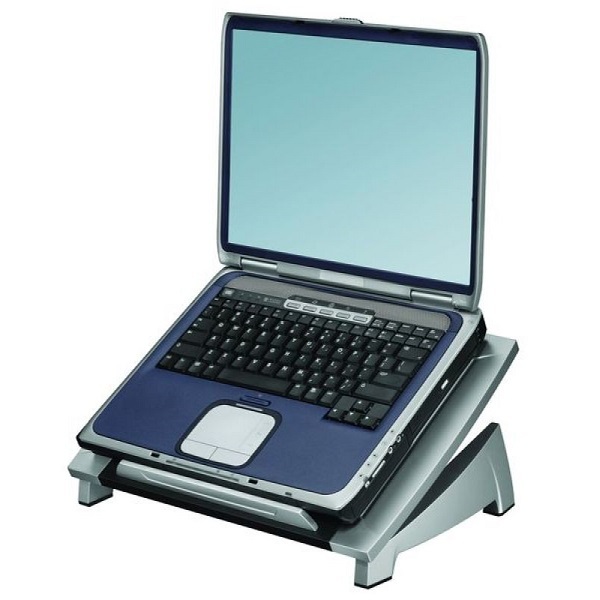 Top platform features height and tilt adjustment for a laptop. 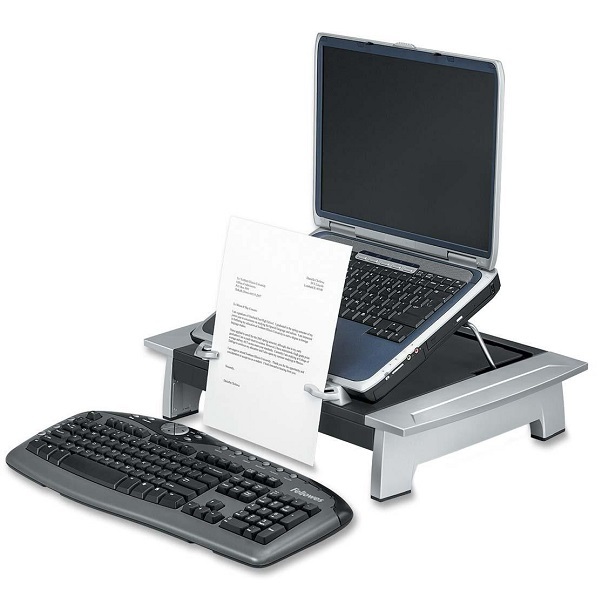 Stow laptop or copy holder underneath for space-saving storage. 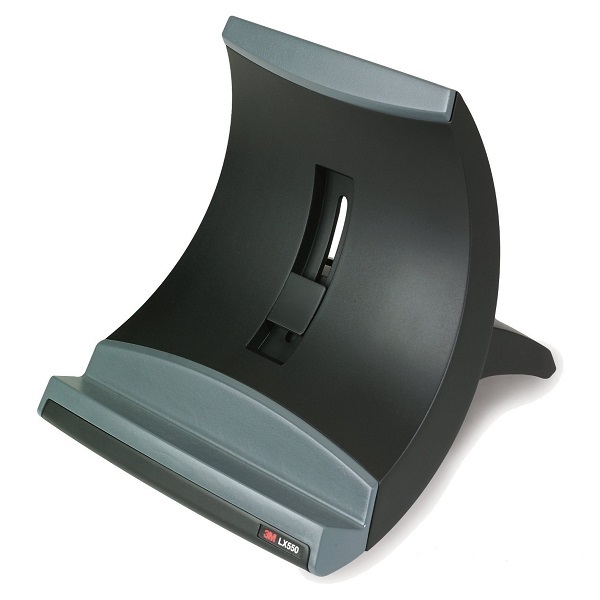 Supports up to 36 kg monitor or 4.5 kg laptop.